How many people does it take to update the copyright date on your website? 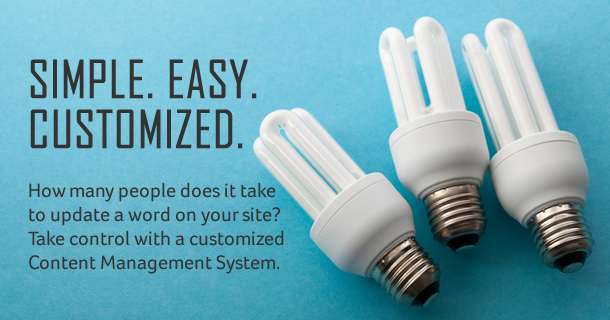 Customized CMS solutions made to order. 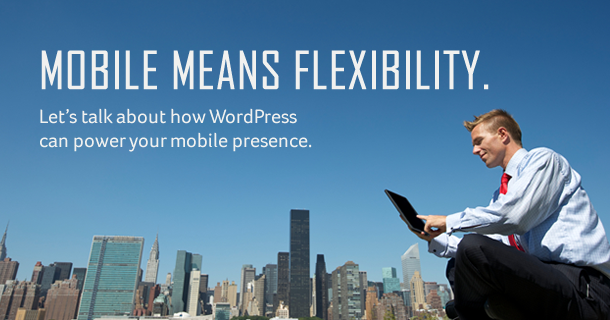 Let's talk about how WordPress can power your mobile presence. 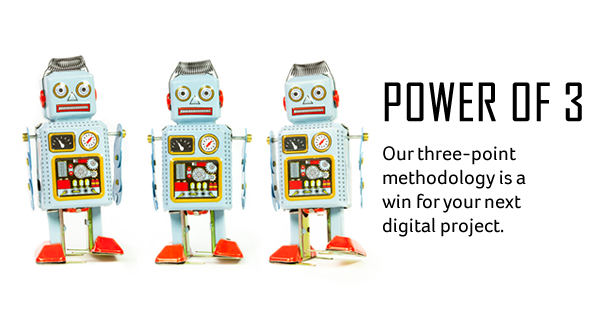 Our three-point methodology is a sure fire win for your next project! Most digital project fail due to lack of effective management. We drive profitable and award winning work for our client. Let's talk about your next project and how we can help make it a success! At THIRDinteractive we are a team of strategic thinkers, problem solvers, and storytellers. Our focus is solving real problems for brands to thrive in the online, social and mobile spaces. Able to rapidly move business ideas and opportunities from concept to implementation, strategically and effectively, our team will create a compelling solution that positions you as an industry leader. We are fast, proven and our efforts will bring you results. By integrating strategic research with creative design to develop experiences that maximize the interaction between people and technology, our three-point methodology will ensure the success of your brand. We dig into your idea, your audience, and your goals to build an informed strategic Plan. We design and develop an Experience for your users that integrates the Plan at every step. We maximize the potential of your project by measuring and monitoring success throughout. THIRDinteractive is an interactive services firm based in Dallas, Texas. We specialize in building customized solutions for clients in the online, social, and mobile spaces. 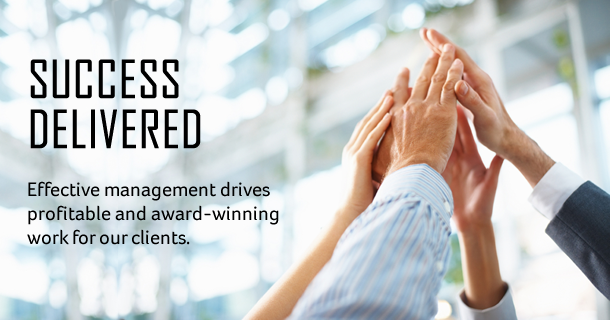 While our approach is to always lead with an innovative mindset, we are focused on solving real problems for our clients and delivering highly engaging and results-driven solutions. With over 14 years in fine-tuning our expertise, we have been fortunate with successes in creating renowned corporate community websites, innovative lab projects, and successful business communities for industry leaders. Design and development are instrumental in any endeavor, but for us the right level of research, planning, and oversight are the keys to a successful experience. Our clients enjoy working with us for the commitment and investment we make in the success of their brand. If you have ever worked with us you know we are passionate about what we do. We take pride in ensuring our work exceeds the expectations of our client partners. At THIRDinteractive we are in the business of solving problems, telling stories, and always thinking strategically. Our business is a dynamic one – constantly changing, continuously evolving – and we have been here since the early days. With a number of successes under our belts, we have integrated our core service areas into a simple three-point methodology. Whether it’s building a robust business member forum, a custom Facebook Sweepstakes application, or a global consumer mobile application, our approach has yielded countless successes. Any successful engagement begins with a plan. Our Discovery phase is about building that plan. We include activities such as identifying the target audience, outlining desired features and functionality, determining user patterns, building a competitor analysis, establishing usability dos and don’ts and aligning these with the overall objectives of the client. Our goal is to create experiences that will inspire our audiences to feel, think, and react — and with the appropriate level of research and planning we build these experiences based on an understanding of the user and client needs, resulting in a successful interaction for all audiences. Our Experience process explores the usage of color, imagery, text and varying layouts coupled with front-end and application development to create an optimal experience. Delivery of a new application is not just its deployment or completion. Delivery includes all the minute details of getting it into the hands of the users — successfully. Through our Deliver process, we incorporate activities such as solid and effective project management, quality assurance, usability testing, documentation and training, and analytics for future measurement. We drive profitable and award winning work for our clients. Most digital projects will fail due to to the lack of effective management and measurement. Our Deliver process is not just about getting a project completed, it is very much about ensuring the integrity of our client relationships and the accurate translation of ideas to reality. We are proud of the relationships we have developed with our clients over the years and of the work we have accomplished together. Ready to talk to a THIRD person? 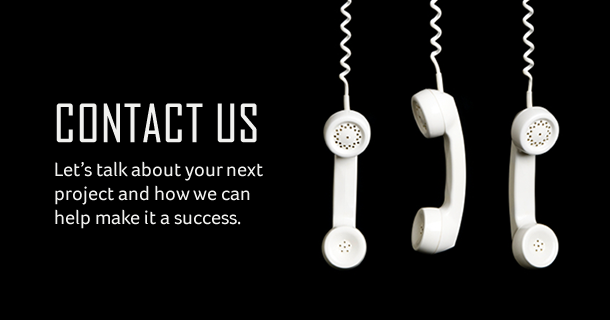 We would love to hear from you and talk about how we can team up on your next success!